To what group did all the meat-eating dinosaurs belong? All of the carnivorous, or meat-eating, dinosaurs belonged to the theropods, or bipedal carnivores. 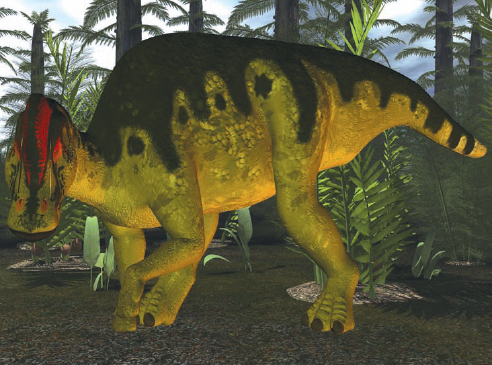 These dinosaurs, along with the large, herbivorous sauropods, made up the saurischian dinosaurs. This group represents a wide range of dinosaur species—from the large Tyrannosaurus to the small Compsognathus. Duck-billed dinosaurs such as this Corythosaur had special teeth within their unusual mouths for grinding up plants (Big Stock Photo).